When Is Flu Misdiagnosis Considered Medical Malpractice? While Influenza varies in severity, it is responsible for thousands of deaths each year. The U.S. Centers for Disease Control and Prevention attributes 35.6 million illnesses, 16.6 million medically attended visits and 56,000 deaths each year to Influenza (the flu). An accurate diagnosis is crucial in the timely treatment of the flu, yet every year individuals are misdiagnosed. The flu shares many symptoms with the common cold and pneumonia, but doctors and medical professionals are trained to know the difference. Medical malpractice occurs when a doctor, nurse, or medical professional fails to run the proper test or appropriately notate the patient’s symptoms. Failing to follow through on preliminary results can also lead to misdiagnosis. Doctors, nurses, and medical professionals are occasionally wrong in their diagnosis. But he or she is not automatically liable unless medical malpractice can be proven. In order to determine if your misdiagnosis case is medical malpractice, it’s important to confirm the following. A doctor-patient relationship existed, and the doctor administered care or examination to the patient. Malpractice cannot occur if the victim was not a patient of the doctor. The doctor must be proven negligent when making the diagnosis. Would a similarly trained doctor make the same mistakes under the circumstances? If the answer is no, negligence may have occurred. The diagnosis was harmful to the patient. 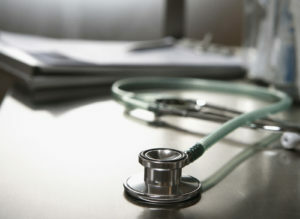 If the patient was misdiagnosed but experienced no ill effects, a medical malpractice claim is unlikely to be supported. The patient must prove specific damages. Whether the damages are economic or punitive, the patient must be able to show that he or she was wrongfully affected by the misdiagnosis. This entry was posted on Friday, January 4th, 2019 at 9:14 am. Both comments and pings are currently closed.